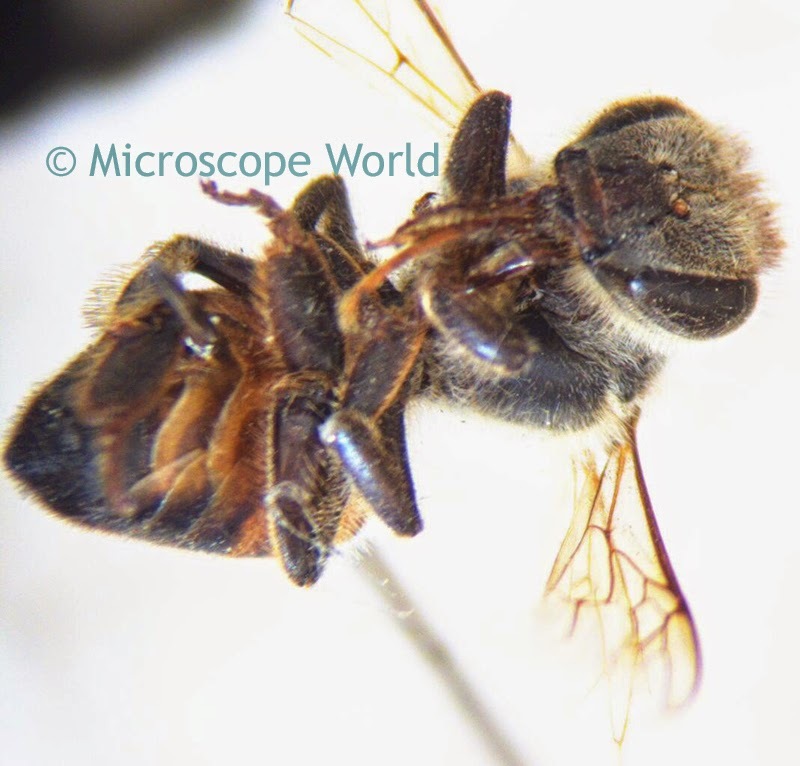 This bee was captured using the Richter Optica S6-D digital stereo zoom microscope. 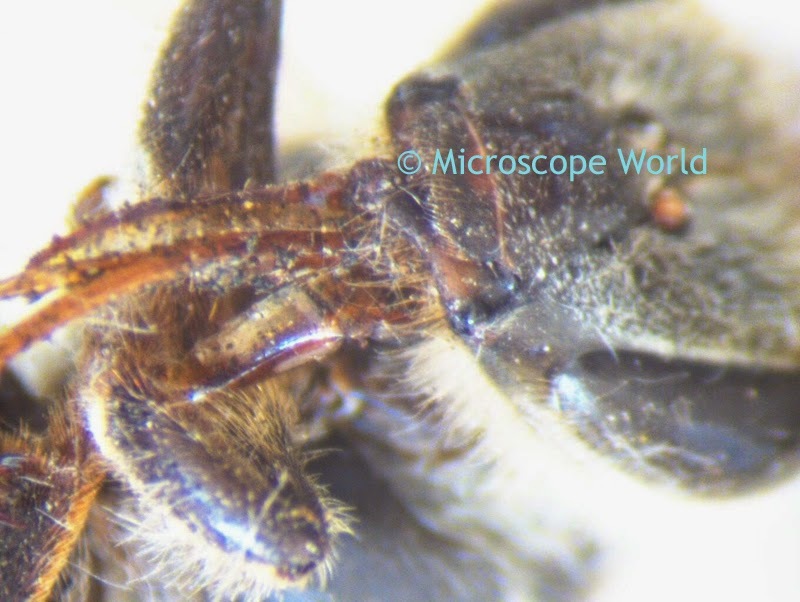 The image was captured at both 10x and 30x magnification. Bee under the stereo microscope at 10x. Bee under the stereo microscope at 30x.